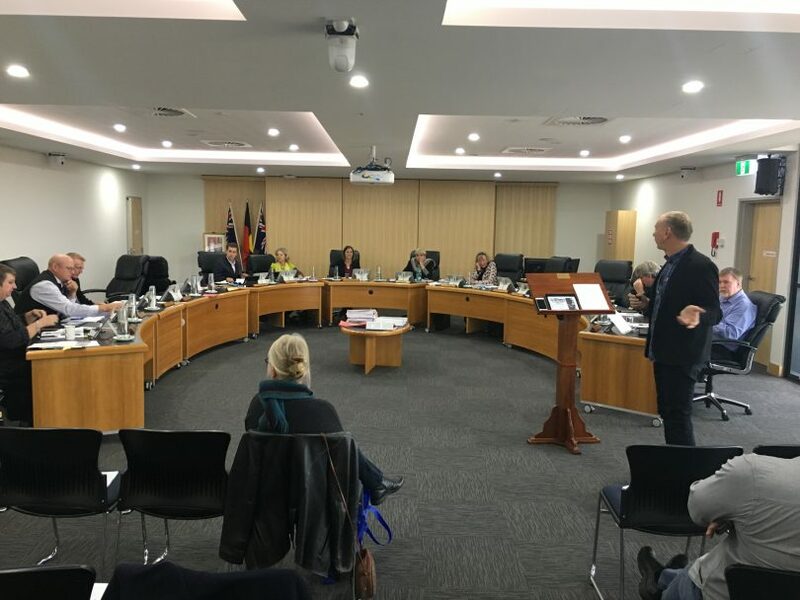 Bega Valley Shire Council is considering a number of changes to how council meetings run and how the community takes part in that process. Traditionally the agenda for a council meeting is published on the Thursday before a meeting. Roughly speaking, meetings happen every three weeks on a Wednesday starting at 2 pm. The first part of every meeting is dedicated to deputations from the community or interested parties on matters arising on that day’s agenda. Not always but mostly, a deputation will result in the matter being deferred in order to seek further information and/or reflect on what has been presented. The Draft Code of Meeting Practice currently on public exhibition suggests a major shake-up of that routine. Stirred by advice from the Office of Local Government, all NSW councils are reviewing the rules and regulations that govern the format, tone, and governance around decision making. Locally, Eurobodalla Shire Council is also currently engaged in the process. One of the significant changes proposed by Bega Valley Shire Council is changing the time of community deputations. In the Draft Code, people are asked to consider moving those presentations to the week before a council meeting, on the Wednesday at 5 pm, rather than at the meeting itself. Meeting agendas would then be made public via council’s website, libraries, and offices on the Friday before what would become known as the ‘Public Forum’. “As part of the Draft Code of Meeting Practice, and as outlined by the Office of Local Government, meetings are for decision making. Council’s draft points to the opportunity for general presentations to be made to Councillors from 5 pm followed at 5.30 pm by deputations relating to matters on the agenda for the next meeting. “Holding these open sessions later in the day will allow a wider range of people and groups the opportunity to contribute to the decision-making process,” Ms Barnes says. 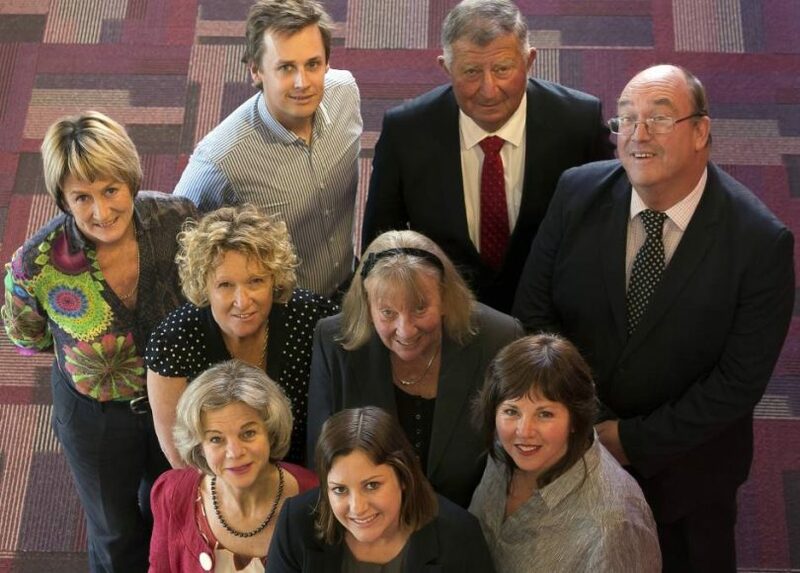 Bega Valley Shire Council’s Code of Meeting Practice is currently up for discussion. Photo: Ian Campbell. The amount of time people are given to speak has also been flagged as a possible change. Deputations are currently capped at five minutes with a short extension possible. The draft is proposing a limit of three minutes. “The three-minute timeframe for deputations about Council agenda items has been placed in the draft for consultation and may be changed depending on submissions,” Ms Barnes says. The General Manager says the live streaming of the Public Forum/deputations will continue if a new time is adopted. Eurobodalla Shire Council is proposed that only the council meeting be streamed to the internet and not the Public Forum. While some north of the Dignams Creek shire boundary have raised concerns about the tone and manner in which some presentations and discussions take place at Eurobodalla, Ms Barnes says there are no such issues for Bega Valley. “Council respects the right of community members, groups and ratepayers to raise issues of importance directly with Councillors,” she says. Ms Barnes says there is already a level of discussion within the community about the draft which she welcomes. Speakers at Public Forums cannot ask questions of the council, councillors or council staff. The Draft Code of Meeting Practice is currently on exhibition until April 30, Council encourages the community to view the document and have a say. Check Council’s website for full details. It is essential to retain the access for last minute items of importance to be addressed at council meetings. How about having the meetings after hours so working people can attend? What is touted as improving the process seems clearly aimed at limiting the contribution the public can make. This limiting is achieved by REDUCING the presentation time from 5min to 3min, that's a 40% reduction. The other way to reduce effectiveness of input is to move it away from the actual time the business is being conducted. It is rather an insult to suggest, as it implied by the recommendation, that the Community Input is NOT part of the meeting business. Seems more like limiting community input than fostering it. Ian thanks for giving this some publicity, it’s rather unfortunate that so much effort seems to have gone into minimizing the rights of ratepayers while providing very little hope to be heard. A Public Forum has always been a meeting that allows the right of free speech but the amount of rules and restrictions imposed in the draft makes it anything but a public forum. But what concerns me the most is that by separating the two meetings, councilors can attend one and not the other, that is, Councillors that do not attend the “Public Forum” seem to be allowed to vote unimpeded. Councillors who do not here out a ratepayer should NOT be permitted to vote on that issue. Looks like a Council 1 Ratepayers 0 outcome on the way. Perhaps this should become an issue hest discussed during local gvmt election. There is little chance to get the see e kind of changes through at this point in time. 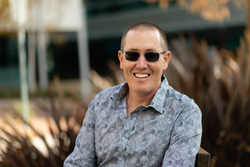 “The Bega valley Shire Residents & Ratepayers Association (BVSRRA) believes that the impact of the proposed changes to the Code of Meeting Practice will be to directly reduce the democratic features & qualities of our system of local government by directly undermining the authority of the elected council, bestowing unreasonable power on Council’s general manager or delegate, as well as acting to inhibit awareness of community issues & stifle community participation & public debate on such issues. The BVSRRA also notes that the process described by council’s general manager as reported in your article is not reflected in the draft Code of Meeting Practice. The BVSRRA also believes that About Regional’s headline & photograph are misleading, implying as they do that councillors are in favour of the changes, while the draft is still on Public Exhibition & has yet to come before council. The BVSRRA also believes that the comments attributed to the general manager are inappropriate, as they are clearly aimed to influence public opinion in favour of the changes, rather than encouraging residents to examine the draft & judge for themselves. Put simply the aim was to make people aware of this discussion and the opportunity to have a say, it’s a matter that hasn’t received much attention and one that I feel is important. About Regional Thanks Ian. Our comment was written in response to the post on the About Regional site, which carried a photograph of all the councillors smiling for the camera & this is where we gathered our impression. The above photo is much more neutral. We also think that it would be more helpful at times if About Regional analysed the material rather than relying/reporting on the comments made by council's general manager ... Just saying. It is also not fair that Councillors and staff can ask questions of an addressee but someone making an address cannot ask questions of the councillors or council staff involved in the preparation of the report....where is the equity in that? all part of a push to disengage the public...next thing they'll be persecuting people for speaking the truth! The Bega Valley Shire Residents & Ratepayers Association (BVSRRA) believes that the impact of the proposed changes to the Code of Meeting Practice will be to directly reduce the democratic features & qualities of our system of local government by directly undermining the authority of the elected council, bestowing unreasonable power on Council’s general manager or delegate, as well as acting to inhibit awareness of community issues & stifle community participation & public debate on such issues. The BVSRRA also notes that the process described by council’s general manager as reported in your article is not reflected in the draft Code of Meeting Practice. Put simply the aim was to make people aware of this discussion and the opportunity to have a say, it's a matter that hasn't received much attention and one that I feel is important. We certainly applaud your effort to publicise the issue. We also think that About Regional should make a greater effort to analyse council proposals, rather than just reporting the comments made by the general manager or the mayor. Indeed, maybe even editorialise on important issues? PS Are you able to activate links when they are posted? It would make material more accessible for your readers. Sound like an effort to stymie residents’ engagement in the process, just shy of disabling locals from having a real say in what happens in their shire. I’ve yet to hear a presentation that did not need the full five minutes. The time is especially important if the speaker is nervous and not used to making a public presentation. Who chooses who may speak and who may not? That can also be fraught with implications of creating bias. Leave well enough alone. Snowy Monaro council are looking at doing the same, and even worst the only topics to be presented on are those they want to discuss. Seems strange that they are all trying to limit the engagement with the very people they are required to work him to provide local services. In my view this will just take a step closer to voter/resident disengagement. QPRC is proposing a way of maintaining something more like the status quo. We couldn't find anything on their website Peter .... do you have a link? Three minutes is hardly enough time to get anything across to our Council - five is difficult enough. And agenda notification should be out well in advance of any meeting, with a full summary of the topics to be covered. In fact if Council thinks three minutes is plenty of time to get an idea or a salient argument across, perhaps Council debates could be limited to a maximum of three minutes; Council meetings would be far shorter. Councillors' speaking time should be limited by the Code. It may not be being enforced.